On October 30, 2004 Fred Jablin, respected well-liked college professor was found lying in his driveway, he had been shot and had died, while his children were sleeping just yards away. The usual suspect, his ex-wife, Piper, who had lost custody of the children and been ordered to pay child support was in Houston, Texas, one thousand miles away, or was she? With her usual attention to detail, Kathryn Casey takes us through Piper and Fred’s childhoods, how they met, their marriage, their divorce, Fred’s murder and finally the investigation. How the investigators followed the ‘bread crumbs’ left by the murderer to not only get enough to arrest the murderer but also secure a conviction. It is no secret I am a fan of Kathryn Casey and this book is one of the reasons why, well researched and written to capture your attention and draw you into the lives of Fred and Piper, their children and extended families. One ends up feeling like they are there, watching the events as they occur. 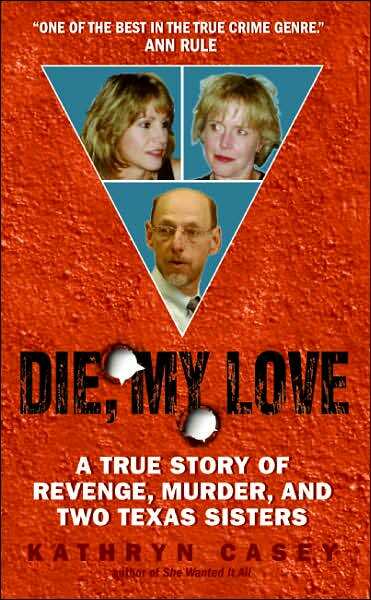 I would recommend this book to anyone who enjoys reading true crime. Posted by Belleza on June 10, 2010 in 2010, True Crime and tagged 4 Stars, eBooks, Kathryn Casey, Recommended to read. I don’t read much true crime, but this sounds like a good one. I’ll have to remember to tell my mom about this one. She’s a fan of true crime books.